I was provided with a free copy of this book by NetGalley and Little, Brown in exchange for my honest review. All opinions are my own. I first discovered my interest in studying World War II in college as a result of an energetic college professor. My interest grew with each and every historical novel I read that was set during that time period…and every Google search that led me down a rabbit hole of information as a result of each of those books. However, Code Girls is my first work of nonfiction that I have explored about the subject of WWII. Code Girls: The Untold Story of the American Women Code Breakers Who Helped Win WWII is a thorough history of the United States military’s recruitment of intelligent young women to break enemy codes during World War II. While many of the country’s men were fighting overseas, over ten thousand women at home were working long hours in secrecy to determine the content of enemy messages, despite the fact that they received essentially zero credit for their efforts. Liza Mundy tells the stories of those women. Code Girls is the result of incredibly extensive research, and Mundy weaves together the stories of the efforts the women made and the technological advancements that occurred as a result with vignettes of their personal lives that help readers understand the humanity and diversity of the women involved. At the same time, Mundy also demonstrates that the culture of the United States at the time was one that expected very little of its women beyond marriage and motherhood, and the work the code breakers did also helped the women win more respect and independence than they had ever experienced before. Mundy’s book is broken into sections, each one focusing on a different aspect of code breaking. For example, one section goes into detail about the secret letters that the military sent out to the first women it recruited received, another focuses on the U.S. Army’s code breaking efforts, another details the U.S. Navy’s work with code breaking, and another describes the work the code breakers did at the end of the war. Throughout the different sections of the book, readers learn a great deal about the housing options the code girls had, their extracurricular activities, and the different breaks they made along the way. 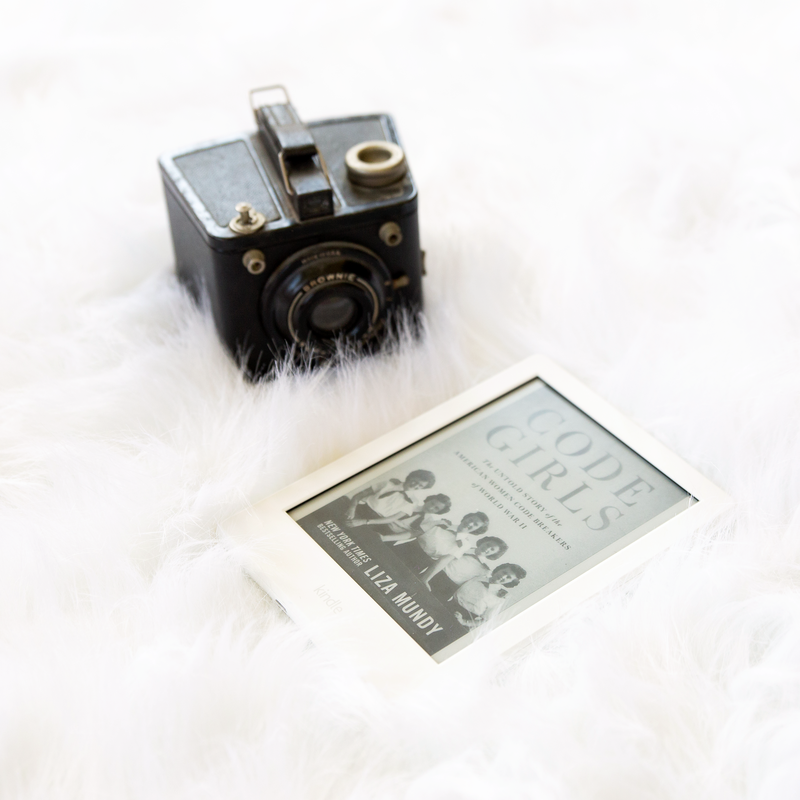 Code Girls is not necessarily a book that a reader will want to devour in one sitting. This is an incredibly interesting book that contains a wealth of information, but it’s best read in sections, because it is also a fairly lengthy book that covers a LOT of territory. In fact, I read this book one chapter at a time over the course of several weeks, but I know that I will enjoy coming back to revisit some of those chapters in the future. At times, all the different names can tend to get jumbled together, but not in a way that makes the book confusing at all. Instead, Code Girls is an excellent historical resource, and I learned more about women in WWII AND the details of WWII itself from this book than I think I ever did from a history course. I particularly enjoyed the story of Dot Braden Bruce, and Mundy includes details of her work and personal life from the beginning of the book to the end, helping tie the entire history together. By sharing details of the women’s lives and then including information about what each of them did after the war, Mundy helps turn this nonfiction history book into a series of stories about real women who made a real difference in the war but were never really acknowledged, until now. The impact these women had on the outcome of WWII is undeniable. As Mundy says, “During the most violent global conflict that humanity has ever known–a war that cost more money, damaged more property, and took more lives than any war before or since–these women formed the backbone of one of the most successful intelligence efforts in history, an effort that began before the Pearl Harbor attack and lasted until the Second World War’s very end.” Unfortunately, the secrecy of their work and the prevailing attitude that women weren’t as capable as men at the time kept their value from being known. Thankfully, Code Girls is here to remind us that American women have been much more powerful than history has led us to believe. Posted in NonfictionTagged book review, code breakers, Code Girls, Liza Mundy, nonfiction review, World War II Women, WWIIBookmark the permalink.